This experience was especially painful because, through my office, the client already was invested in those same low-cost shares. I just hadn’t made sure the client knew that. It was a significant mistake in communication. Many investors don’t know that most mutual fund companies offer a special class of share available only to investors with sizable minimum investments (usually over $1 million per fund). These shares carry the lowest expense ratio (annual fees paid to the fund manager) of any other share class and usually waive any front-end or trailing sales charges. Because it’s generally large private and public intuitions that have the large sums to meet the minimum investment, these are called institutional shares. Most Registered Investment Advisers (RIAs) who don’t receive commissions have special access to institutional shares through their custodian. Over the life of your investments, these low-cost shares can result in thousands upon thousands of dollars of savings. If you are in class A, B, C, or R shares, the expense ratio is higher than the fund’s institutional shares, often called I shares. 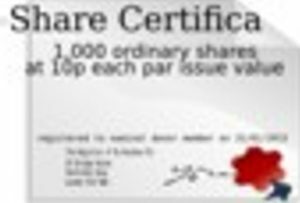 The other share classes often include a commission paid to the broker/advisor. The average annual expense ratio of these funds is around 1.25%. That charge can drop to as little as 0.03% when an advisor places clients in institutional shares. For example, take the Rydex S&P 500 Fund, Class C (RYSYX). The Rydex fund tracks the S&P 500, just like hundreds of other index funds. It charges investors 2.33 percent. As an alternative, you can buy the retail share of Vanguard’s S&P 500 Index Fund (VFINX) with a cost of just 0.14 percent, a 94% savings. But you can still save another 71% if your advisor places you in Vanguard’s institutional share of the same fund (VINIX), with a expense ratio of just 0.04 percent. Any RIA who doesn’t accept commissions and who uses a major custodian like TD Ameritrade, Schwab, or Fidelity has access to institutional class shares. These advisers not only can use them, but are strongly encouraged by the SEC to use them if at all possible. RIAs who don’t put clients in institutional shares had better have a good reason: perhaps a company doesn’t have that class of share, or the client is so small that using a higher cost class of share which eliminates a transaction fee to the investor is actually cheaper. It had never occurred to me to use our firm’s use of institutional shares as a selling point to prospective clients. After all, every other RIA not only does the same, but is basically required to do so by the SEC. If you don’t use the services of a RIA and don’t have the $1 million minimum per fund to get into the I shares of the funds, you have several options. One would be to look for a similar fund with a lower expense ratio, like the example above of replacing the Rydex 500 with the Vanguard 500. You can also consider an online robo advisor that for 0.25 to 0.50 will put you in institutional shares. Or you can consider engaging an advice-only planner who is an RIA. Whatever you do, check the share class of your mutual funds. If they are not I shares, ask your fund company or advisor why they are not and how you can move into the I shares. The savings could be phenomenal. Receive our posts via email. Do New Socialists Really Want Socialism? Kahler Financial Group, Inc., is an Investment Adviser registered with the SEC. Advisory services are only offered to clients or prospective clients where Kahler Financial Group, Inc., and its representatives are properly licensed or exempt from licensure. Kahler Financial Group, Inc., will give advice only if they are licensed or otherwise qualified under state and federal laws to do so. This website is solely for informational purposes. No advice may be rendered by Kahler Financial Group, Inc., unless a client service agreement is in place. Kahler Financial Group, Inc., provides links for your convenience to websites produced by other providers or industry related material. Kahler Financial Group, Inc. is not responsible for errors or omissions in the material on third party websites, and does not necessarily approve of or endorse the information provided. For questions or to report any problems, please contact us. © 2017 Kahler Financial Group. All Rights Reserved.